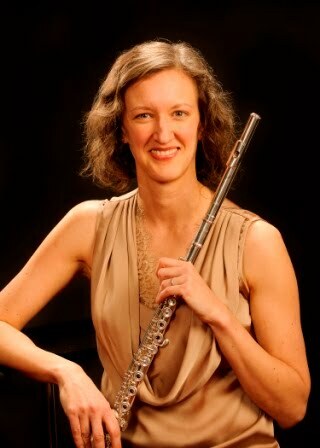 Nicole Riner, flutist: Introducing the Wyoming Flute Sessions! Introducing the Wyoming Flute Sessions! I am very fortunate to teach at a school with a beautiful, and incredibly flattering, recital hall. So, I thought I'd take advantage of it by recording run-throughs of some new pieces I've been learning. It's great fun to play at University of Wyoming, and I find these little-known works by emergent composers so good, and I hope you will, too! "Toys that sing, toys that sing like your mommy...Not the electronically synthesized sound, but a sound that is only tailored for you. Breathe, laugh, cry, cuddle, and hug...That is the imaginary toy that we as musical moms want to leave when we can't be there with our babies. This piece explores eight nursery songs, from 'Farmer in the Dell' to 'ABC' song, sometimes explicitly and sometimes ambiguously." The pianist in this recording, Theresa Bogard, and I gave the Wyoming premiere of this back in March in Rock Springs, and played it again in April at UW for a faculty recital. Gocce by Emanuela Ballio: Italian for "drops", this solo work was a finalist in the Flute New Music Consortium composition contest last summer. It is great fun to play. and Emanuela has been such a kind and supportive cheerleader! I gave the world premiere of this piece in April at Indiana University of Pennsylvania and plan to program it many more times. The Summer 2017 Articulation Challenge!